Get 1-1 advice and recommendations about your project and goals from David Meerman Scott. The strategy session is ideal for those who want David’s thoughts on a particular marketing challenge. Fill out the form below to set up your private virtual coaching session. Since the publication of the first edition of his number one bestselling book The New Rules of Marketing & PR in June 2007, David has been so busy doing keynote speeches, running live, in-person team coaching events at companies, and writing books that he no longer does consulting work. However, he is available for private telephone or Skype coaching sessions. The private strategy session is ideal for those who want David’s advice on a particular marketing challenge. David reviews your challenge prior to the call, engages with you via telephone or Skype to discuss your goals in detail and then he offers specific strategy and tactical suggestions. This session also includes one month of email or social network interaction after the call. To get the most out of the session, it is required that clients read The New Rules of Marketing and PR prior to the beginning of the engagement. 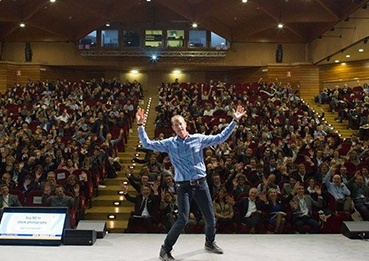 A David Meerman Scott Strategy Coaching Session is USD $5,995. You are having your annual marketing strategy review and want David to participate virtually. You want to write an ebook but don’t know what’s involved. You want to begin Newsjacking! You want David to look over your Web site and give you some ideas for improvement. You’ve got a blog and want some ideas to build traffic. You want to brainstorm some viral marketing ideas to get people talking about you and your ideas. You want to begin using Twitter but don’t want to look like a newbie. "I want send you a message of gratitude from all of us at Riverwood Acoustics. We truly believe that your style of marketing rules will help us disrupt an industry and make people change the way they buy home audio and electronics. Thanks you for all the insightful information and tips that will help us provide a true story going forward." "Partnering with David to analyze and evolve my social media marketing strategy has proven to be extremely beneficial. I met David via Tony Robbins and much like Tony, David has helped me to elevate my game by introducing me to simple, actionable strategies which quickly deliver substantial results."